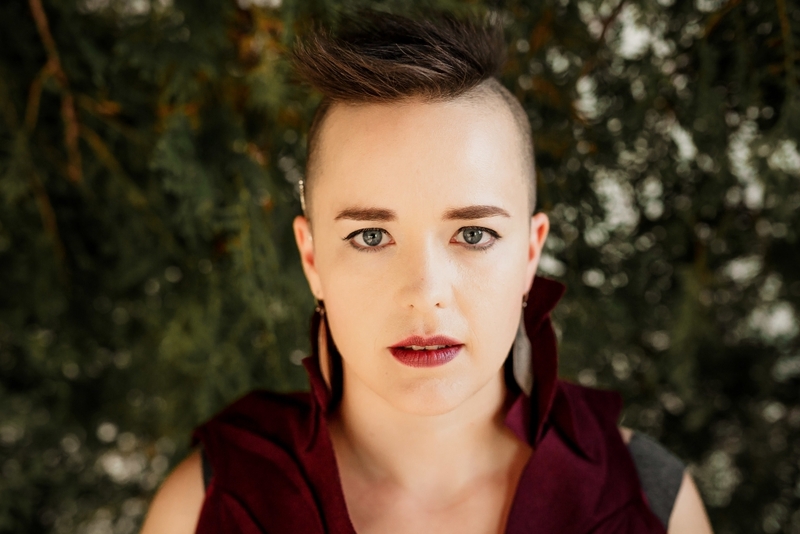 Camerata Nova is excited to have 2018 Canadian Folk Music Award Winner for Emerging artist of the Year, Raine Hamilton, join us for our March 9+10 concert The Prairie Songbook. The concert takes place March 9, 2019 at 7:00 pm and 10:00 pm and March 10, 2019 at 3:00 pm at the Park Theatre. Tickets for individual concerts are available through our website, by phone (204-918-4547), or at the door. 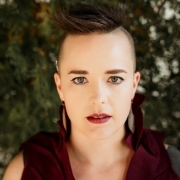 Raine Hamilton – Resonant, acoustic chamber folk with an otherworldly edge, and a lyric presence that cuts deep. Prism-clear vocals and strings; A combination of vocal agility and power. Raine Hamilton‘s new album, Night Sky, tips between the earthly and the otherworldly; it is anchored in relatable lived experience, while reaching into the space just beyond, thinning the veil between here and there, affording safe passage to the rough and beautiful places. Raine’s ethereal voice and lyrics are at the forefront of these powerful and relatable tunes, written both in English and in French. Alongside cello + double bass, and with Raine on violin or guitar, these songs have a moving string quartet feel with a cosmic reach. Raine is also a charming and funny storyteller, pairing her vulnerable tunes with engaging story intros. Raine believes that music is for everyone, and that we all have something to share. 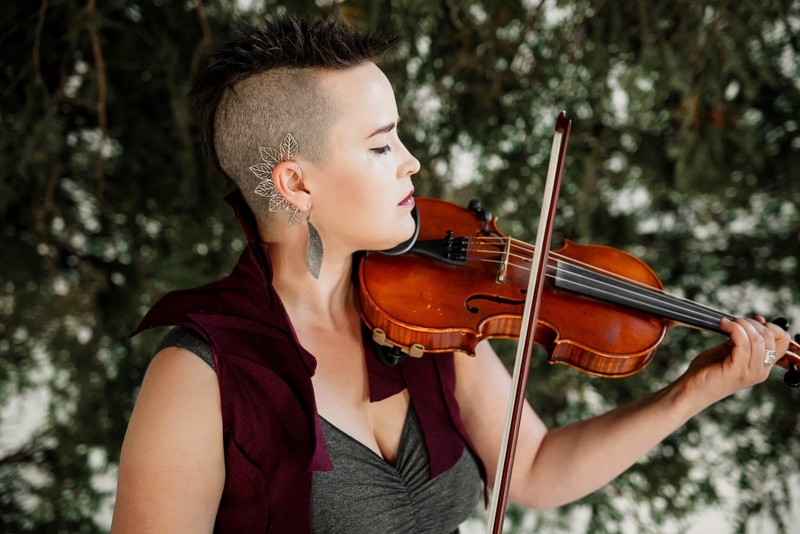 An experienced educator, Raine offers workshops in songwriting and fiddle tune writing (EN/FR). Raine also offers concerts with American Sign Language (ASL) interpretation, to help make live music and the community that comes with it accessible to the Deaf community. Raine has toured Canada extensively, driving, flying, and floating her way coast to coast. Highlights include: Performing songs with the Winnipeg Symphony Orchestra (3 times! ), playing a concert in a cave (10 stories below the earth! ), playing festivals across Canada (Home County, Filberg Fest, Lilac Fest, The Works, Harvest Sun, Harvest Moon, Trout Forest), playing for her passage on Via Rail, and meeting so many amazing humans along the way. She reports a full and smiling heart <3. The Prairie Songbook takes place March 9, 2019 at 7:00 pm and 10:00 pm and March 10, 2019 at 3:00 pm at the Park Theatre. Tickets for individual concerts are available through our website, by phone (204-918-4547), or at the door. Every few years, we kick back to just have fun with friends and fans. For this special Park Theatre event, Camerata Nova will present a great selection of songs from prairie artists arranged by Manitoba composers/arrangers. From the Wailin’ Jennys to The Guess Who, from Joni Mitchel to Royal Canoe, from KD Lang to JP Hoe, we’ll celebrate our “wheatfield soul” in all its diversity. Led by Mel Braun and Vic Pankratz and featuring a 4-piece house band of talented musicians, Camerata Nova will turn the Park Theatre into your favourite coffee house. Come join us and blow away your winter blues!